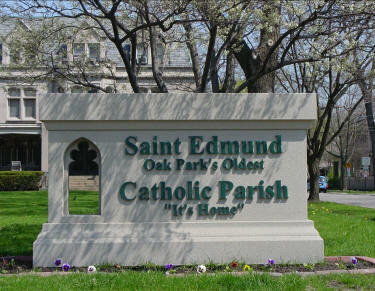 Business After Hours - St. Edmund Church, March 2019 - Mar 12, 2019 - Oak Park-River Forest Chamber of Commerce, IL ? Join us at our regular monthly networking event, Business After Hours (BAH), on the second Tuesday of every month. All members and non-members are welcomed. (Members are free.) Connecting business to business, business to community. Get to know us in 2019! Where Are We Meeting This Month? 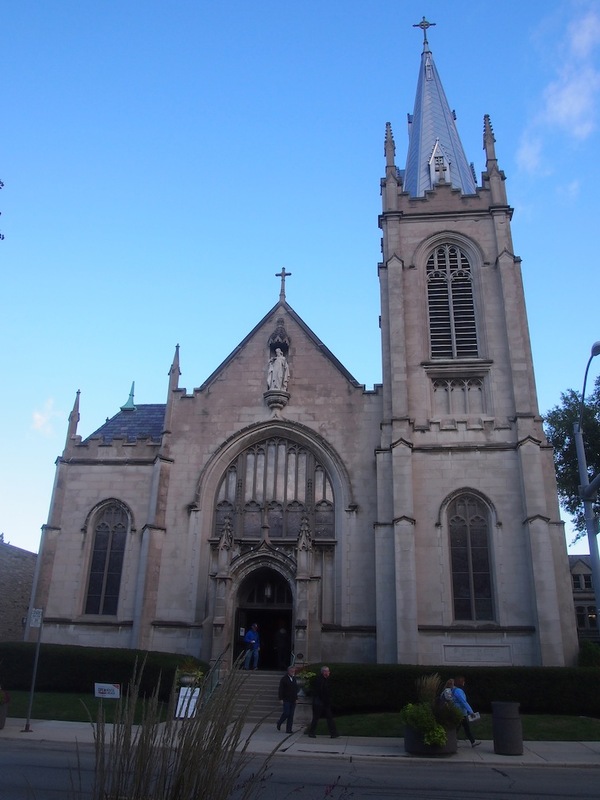 Our March Business After Hours (BAH) will be hosted by St. Edmund Parish in Oak Park, the village's oldest Catholic Church, and co-sponsored by The UPS Store on Lake and by Scoville Square. Our food sponsor is Bricks Wood-Fired Pizza and our beverage sponsor is Oak Park Brewing, as we celebrate businesses of the Hemingway District. Join us for a night of networking, drinks, and hors d'oeuvres. The people of St. Edmund Parish are a diverse community of Christians whose beliefs are rooted in sacred scripture and the traditions of the Catholic faith. They seek to serve others and to be active participants in living the faith. St. Edmund is opening its space to the Oak Park - River Forest professional community - come treat yourself to a quick tour of its beautiful stained glass windows at sunset! Guided building tours will be offered from 4:30 - 5:30 pm. Guests are welcome to park in the church lot behind the church, accessible from Pleasant; street parking is available all around the church.